The prophet Solomon appears in many famous religious stories. Our Red and Gold King Solomon Sword is modeled after this iconic figure and features a stainless steel blade with red and gold accents for a stand out display sword.  A sword like this needs its own display rack so that friends and family can admire the ornate decoration. The lavish guard and pommel are made even more decadent by including a dark bronze Star of David on the pommel. 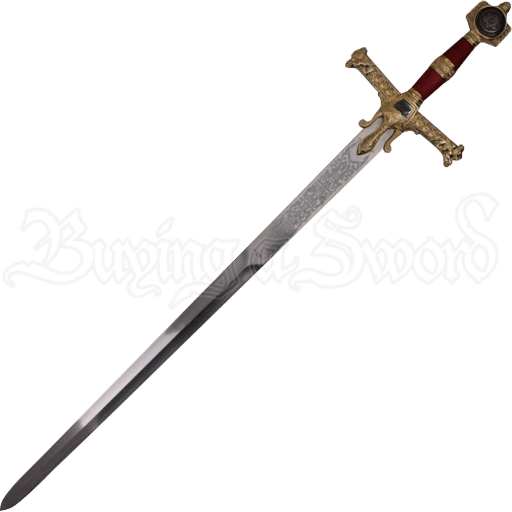 The artistic markings crafted into the blade itself assist this sword as being a unique work of art. This item is a wonderful decor piece for your home. Create a sense of awe and wonder much like this prolific prophet did when you take home our Red and Gold King Solomon Sword.